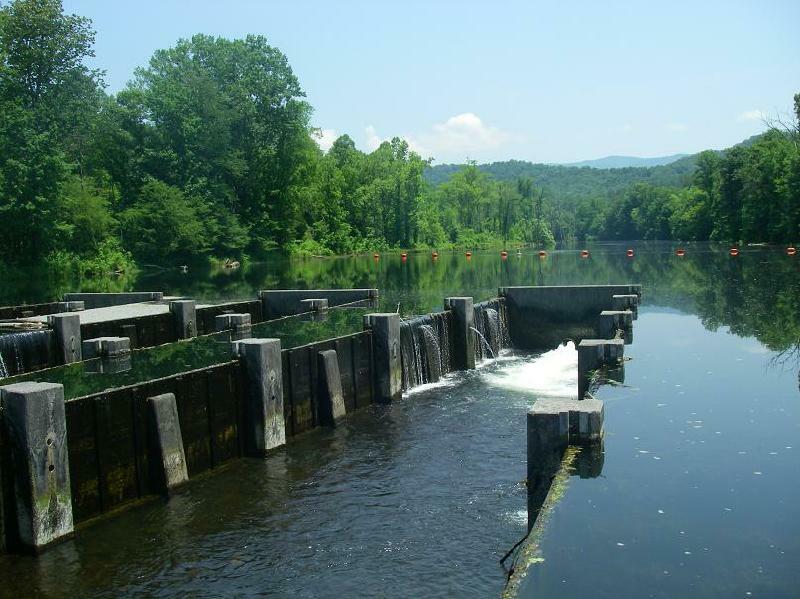 The South Holston River is located in extreme Northeast Tennessee and begins at the base of the South Holston Reservoir dam, completed in 1950. The water is released form the bottom of the reservoir and begins it's flow at around 42 degrees 365 days a year. From the base of the dam, it travels a short distance through a mostly channelized stretch until it reaches the weir built in 1991 to increase dissolved oxygen content in the water. There is a second and smaller weir about 1/4 mile below the first with metal grate steps ("the grates"). 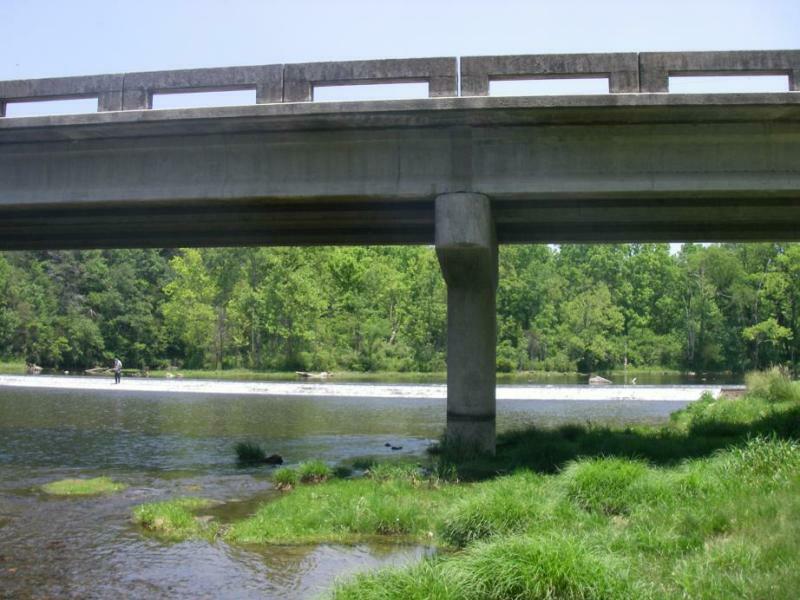 The combination of these two weirs not only increases dissolved oxygen, but also helps prevent the scourering effect a rapid increase in flow can cause. In the process, they help maintain a wet river bottom needed for aquatic plants and insects to survive during times of no generation as the water above the weirs is slowly released. 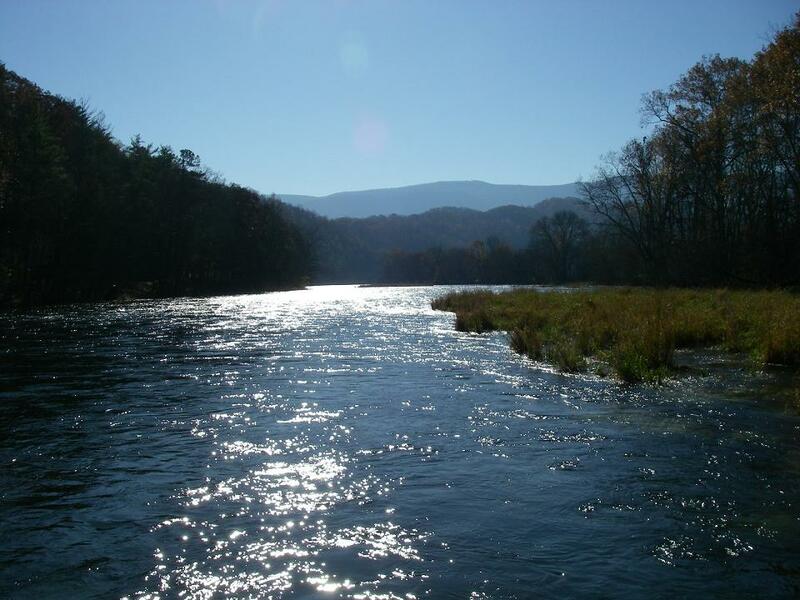 This combination of oxygen and cold clean flowing water provide an environment that allows the South Holston River's cold water ecosystem to thrive. 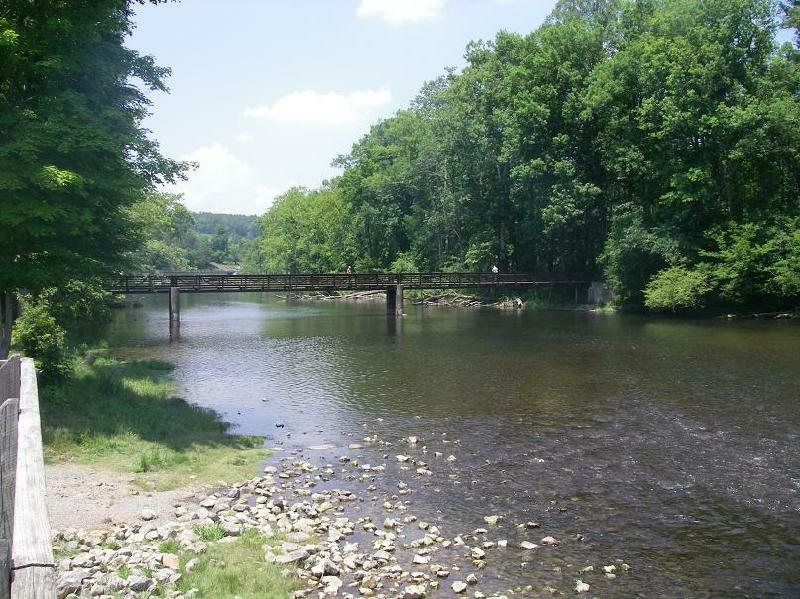 Recent surveys have put estimates at between 5000-6000 trout per mile. 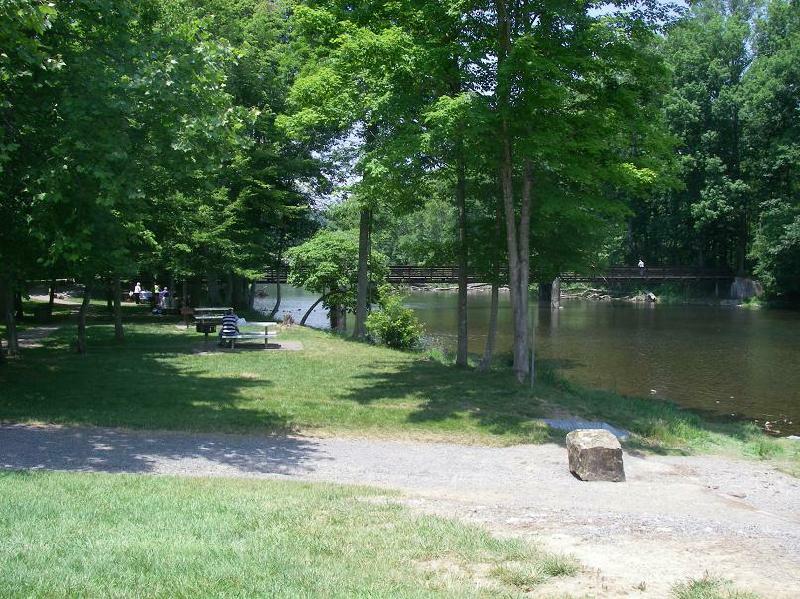 NOTE: Didymo (Didymosphenia geminata) has found a home in the South Holston river. Please help slow the spread of this invasive specie of alga by removing all visible remnants of plant matter from you gear (flies, boots, anchor, rope, boat, waders, etc.) and allow them to dry completely before you use this gear in another stream or river. 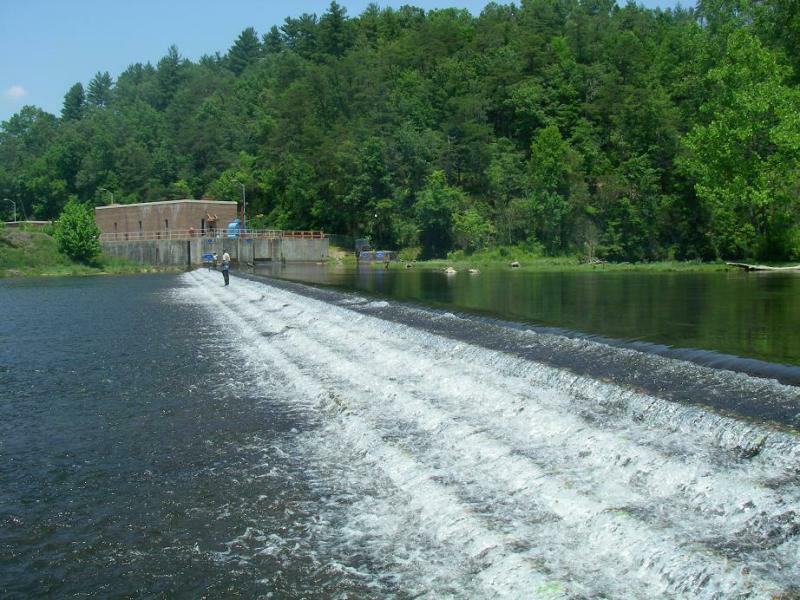 The TVA (Tennessee Valley Authority) controls the South Holston Dam release and water flow of the river for flood control, electricity generation, recreational use, and wildlife habitat maintenance. During times of no release (called minimum flow), there is usually between 90 cfs (cubic feet per second) and 180 cfs being released from valves at the base of the weir. 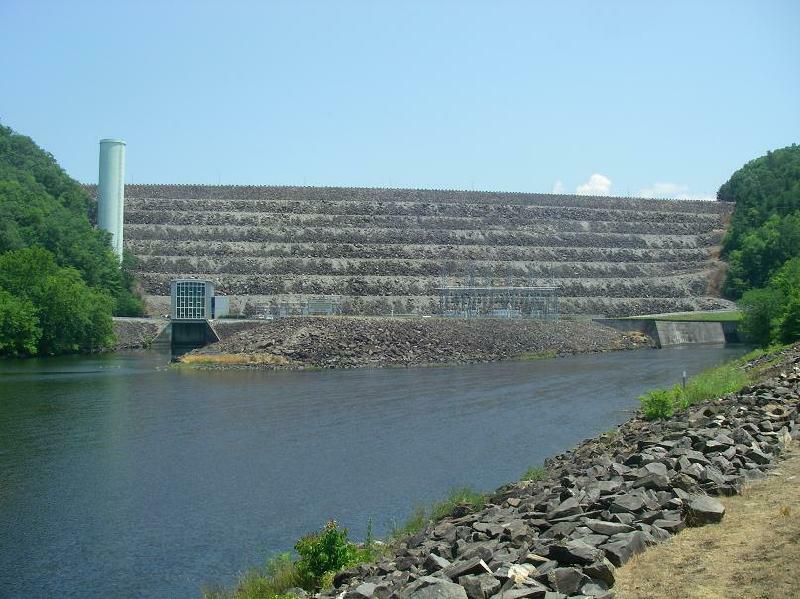 During sustained periods with no power generation, the TVA releases for an hour or so to refill the pool above the weir. This low flow means that almost the entire river is wadable at times. Please be aware that other creeks and streams also flow into the SoHo increasing the actual flow as you travel farther down the river. After heavy rains, these tributaries can raise the river flow to dangerous levels even without a release from the dam. Please note that the TVA can release water at any time due to power demands or equipment failure. Watch for rising water and have an escape plan at all times. The TVA controls the releases and offers up to the hour previous release and projected release data. The TVA information hotline is well designed and easy to use. Call 1-800-236-2264. You will be given a menu and at this time you will press "4" for water release schedule (predicted discharges) or "5" for previous release data (observed discharges). When prompted for the two digit code for the reservoir/river you are interested in enter "01" for the South Holston. I recommend you save this number in your cell phone and check predictions right before you start fishing and throughout the day to confirm the schedule. You usually must wait until 4 PM to get information for the following day's release schedule.You may also find this information online at http://www.tva.gov/lakes/shh_r.htm . Do not attempt to wade in high water or during releases. Always be aware of your surroundings and have an escape plan if you do get caught in rising water. Always stay away from down trees (called strainers). If you are washed into a strainer, the power of the flowing water will pin you and/or your craft against it and they will recover your body after the water recedes. Please be careful.